Angela Cerrito was born in Dearborn, Michigan, and has lived in Oregon, Georgia, China, Italy and Germany. She attended Pacific University, where she received a BS in social work and an MS in physical therapy. She currently works as a pediatric physical therapist in Germany. Her first novel, The End of the Line, was a YALSA Quick Pick for Reluctant Young Adult Readers and a VOYA "Top of the Top Shelf" selection. The Safest Lie evolved over eleven years. 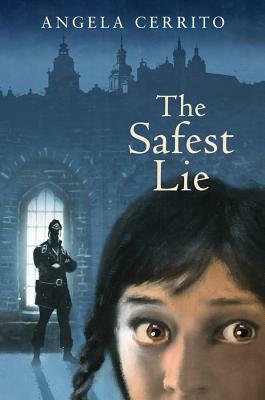 The author first learned about Irena Sendler in 2004 and knew immediately that she wanted to write about her. She applied for and was awarded the Kimberly Colen Memorial Grant from the Society of Children's Book Writers and Illustrators, which made it possible for her to conduct research in Warsaw, Poland, where she finally met her hero, Irena Sendler.